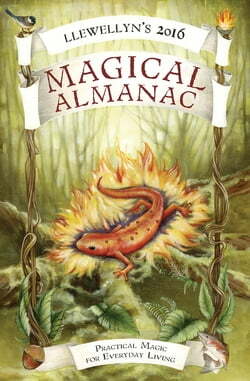 Llewellyn’s Magical Almanac has been inspiring all levels of magical practitioners for over twenty years. Filled with practical spells, rituals, and fresh ideas, you’ll find new ways to deepen your craft and enhance everyday life. This edition features nearly three dozen compelling articles,... read more grouped by element, on elemental angels, quick sabbat acknowledgements (instead of full rituals), copper energy rods, gem elixers, vision boards to transform energy, bubble magic, the magic of twin souls, photos for magical manifestation, and much more. Also included is a handy calendar section— shaded for easy “flip to” reference—featuring world festivals, holidays, and 2016 Sabbats. You’ll also find astrological info, plus incense and color correspondences, to empower your magical work.